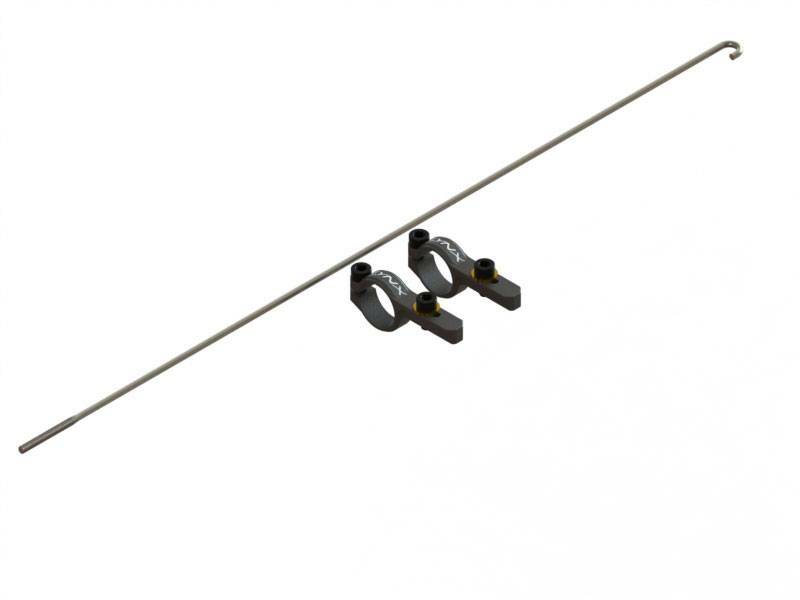 Lynx Heli Innovations has designed a universal sub micro and micro servo size, tail boom support, for your 180CFX tail application. Looking closer to the detail you will surprise about the tail boom clamping system we design to support the tail servo. Our universal tail servo support will introduce new option for your tail servo application, many option on the market now, need a clean and top quality servo support to unchain your desire of tuning and performance. Lynx Heli 180CFX tail boom servo support clamping will assure an ultra-solid support, without compromise the servo function. The new servo position is supported by a dedicated tail push rod that replace the standard one per length but have same function. Like any Lynx part we aim for the strongest part with the lightest weight. We always look for upgrades that will not compromise helicopter performance. 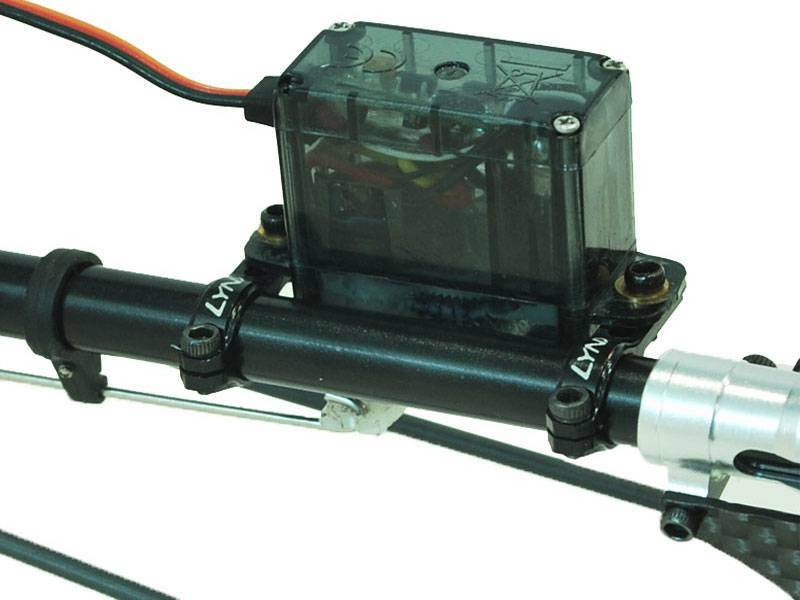 The details and design of this tail servo support add top performance and an exotic look to your 180CFX tail system, giving you the opportunity of fully enjoy any micro and sub micro servo size servo performance. - Universal Micro and Sub Micro Servo Size support. - Optimized servo clamping assure superior holding and rigidity. - Increased tail system performance, achieved by optional aftermarket servo specification like 3060 or KST245MG. - FEA (Final Elements Analysis) design assistance, achieving the lightest weight with the maximum strength.